It’s summer in San Diego, which means one thing: San Diego Comic-Con is upon us once again! Science fiction and fantasy are all over the place, in all formats. And given our focus on families, and fathers especially, we thought we’d take the opportunity to run through some of our favorite genre dads. Some are actual dads, while others are father figures or less traditional paternal presences. While some are heroes in their own right, others give their kids the support they need to accomplish feats of their own. And in the end, haven’t we all looked at our dads as larger-than-life characters at one point or another? 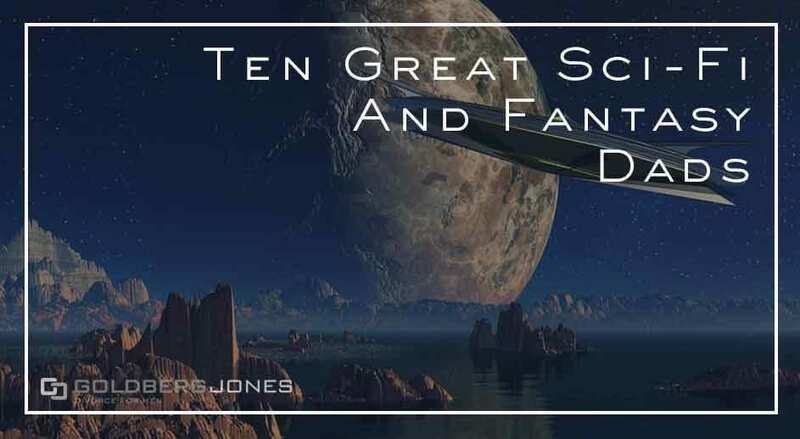 With that in mind, here are the ten best sci-fi and fantasy dads. As usual, “best” is a relative term. You can make a case for these and many others. The names on this list just happen to be our favorites. Sound off in the comments with your picks! Of course you turn out as one of the greatest superheroes of all time when you have as many strong father figures in your life as Superman. The Man of Steel inherited his powers from his biological father, Kal-El, who also went to great lengths to protect his son and keep him from harm. 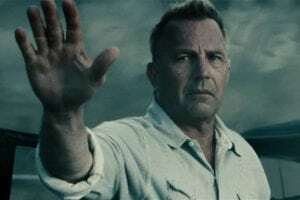 And it was Jonathan Kent, along with his wife Martha, who found that baby in a Kansas cornfield, raised the boy as his own, and gave him the moral compass to use his powers to better and benefit all of humanity. 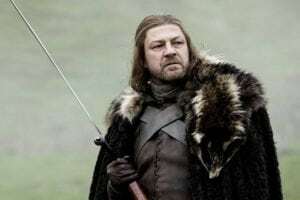 Sure, the patriarch of House Stark in George R.R. Martin’s fantasy epic (SPOILER) loses his head rather early in the saga. But a big part of that result springs from his attempts to protect his brood and his subjects from harm and disgrace. And along the way, he takes special care to impart wisdom, character, and a sense of honor and willingness to stand up for what’s right. It costs him dearly, but his teaching and presence are huge reasons why the Stark kids went on to such great heights in his wake. One of the big plot points of the Harry Potter franchise is that Harry himself has no parents, thus, no father. But that doesn’t mean the saga of the Boy Who Lived is without father figures. Both Hagrid and Dumbledore fill that role to varying degrees and at various times. 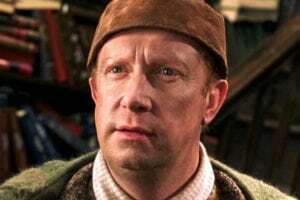 While they get the headlines, Arthur Weasley does his fair share of heavy lifting as well. Not only does he work long hours to provide for his red-headed cadre of children, he also steps to the plate multiple times to protect them in the Wizarding Wars. And if that’s not enough, he’s willing and happy to take in his children’s friends and treat them as members of his own family. That’s a great dad in our book. 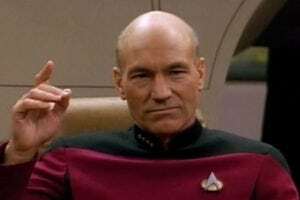 Though he doesn’t have a family of his own—okay, in one of the spin-off novels, he marries and has a son—Jean-Luc Picard served a very fatherly role to the crew of the USS Enterprise-D in Star Trek: The Next Generation. It’s natural that they would look to their Captain as a sort of patriarchal figure, and he fills that role well. He’s supportive, nurturing, and understanding when necessary, dispenses wisdom and offers guidance, and can be a stern disciplinarian when the situation calls for it. 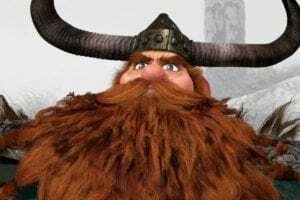 He may not start out great, but Stoick the Vast has a lot going on. He’s a single dad trying his best, but a practical man, he just doesn’t understand his head-in-the-clouds son, Hiccup. And on top of that, he’s trying to lead an entire village, provide for his people, and uphold Viking tradition. While he may be a bit overbearing and not entirely supportive of his son, he does something fantastic, he changes. Over the course of the movie, he learns to empathize with Hiccup, sees his point of view, and rethink his stubborn ways. Not only does this evolution benefit the relationship between father and son, it changes their entire way of life. 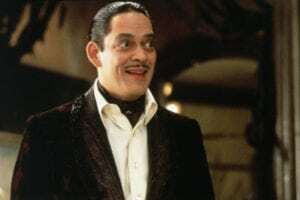 He may not be the head of a traditional family, but there’s no denying that Gomez Addams is a devoted family man and father. Not only is he passionately in love with his wife, Morticia, and dedicated to keeping the spark alive, he actively encourages his children, Wednesday and Pugsley, to be themselves and follow their own passions and desires. He’s a loving, attentive spouse and a supportive, nurturing parent, even when that leads down strange and unexpected paths. Which is so often does. Jean-Luc Picard doesn’t have the market cornered when it comes to fatherly figures in the Star Trek universe. 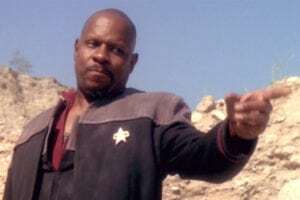 Though he receives less hype, Deep Space Nine’s Captain Benjamin Sisko does a bang-up job. Not only is he responsible for his crew, after losing his wife in a Borg attack, he raises his son, Jake, as a single father. He places a huge importance on his family and takes steps to ensure that he and Jake have a strong relationship. This also forces him to consider his career and duty as a Starfleet officer. Admittedly, traveling back in time to unknowingly impregnate the mother of your future boss is an unusual situation. 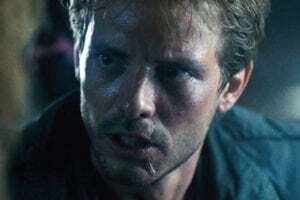 But such is the case of Terminator’s Kyle Reese. He only knows his son, John Conner, as an adult, and has no idea of the familial connection they share. And though he doesn’t know the ultimate outcome of his mission, Reese volunteers for a dangerous, likely suicidal mission, sacrificing himself for the greater good, which is a pretty dad move. It also gives his son the chance to be born, so bonus. 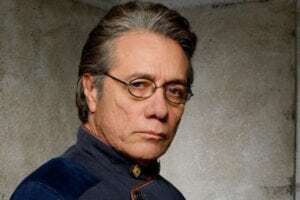 A stern military man, William “Bill” Adama is a tough father. (He’s also the son of a lawyer, which helps his cause on our list!) He deals with the weight and grief of losing one child, Zak, and regularly butts heads with his other son, Lee. It doesn’t help that he also happens to be Lee’s commanding officer in a war against sentient robots. Still, over the course of Battlestar Galactica, we see the depth of their relationship, the elder Adama’s pride in his son’s accomplishments, and the true depth of his compassion. 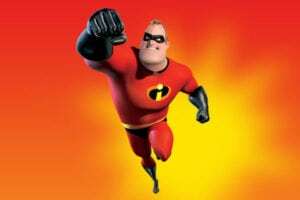 Bob Parr doesn’t start out The Incredibles as Father-of-the-Year material. He’s more concerned with his former life as the costumed superhero, Mr. Incredible. But like so many other cinematic fathers, by the time the credits roll around, he’s learned what’s really valuable in life, family not heroic exploits. (Though sometimes the two can coexist, especially in this movie!) Plus, he’s also a super nerdy dad who embarrasses his kids. What’s not to love? 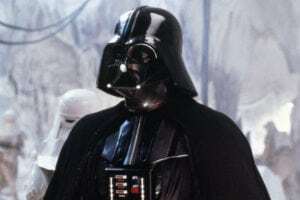 A Sith lord is rarely anyone’s idea of a great dad, and Darth Vader is no exception to this rule. Not only does he not know he has a son—or daughter for that matter—for years, when he finally does try to reconnect, it’s because he wants something. He needs Luke Skywalker’s help ruling that far, far away galaxy. And when he’s rebuffed, he cuts off his son’s hand. Not great. Still, in the end, he redeems himself, and though this is an extreme case, what father hasn’t made mistakes?